Galaxy Nails for the #31DC2017Weekly - Polish Etc. Well...I am a little late with challenge this week. I should be showing you watermarble nails today but instead I have my galaxy nails from last week! Oops. But I will get caught up this week, I promise. Galaxy nails are great. They look complicated but are actually very easy to create. It is difficult to mess them up. 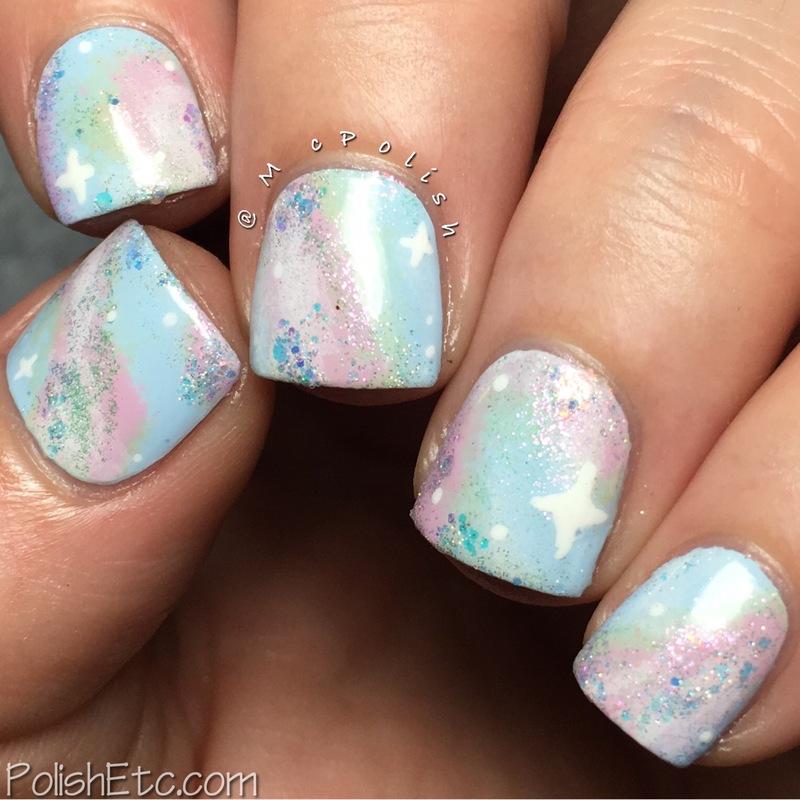 Each year I say that I am going to do pastel galaxy nails for the challenge and each year I just end up doing traditional galaxy nails. Well...this year I actually did some pastel galaxy nails! They aren't as mesmerizing as traditional galaxy nails, in my opinion, but they are fun to look at nonetheless. I started with a base of Zoya "Blu" then sponged on more Zoya colors until I got my desired effect. I used Neely, Cala, Jordan and Purity for the solid colors. Then I used Leia for a little pit of pink shimmer. I used Purity and a small detail brush to make the stars and though it needed a litte more sparkle. So I sponged on bits of opal glitters from Glam Polish "An Unexpected Journey" which completed the look. It is all topped off with a glossy top coat. I am happy with the final results but I think overall it needed a little more contrast between the colors. 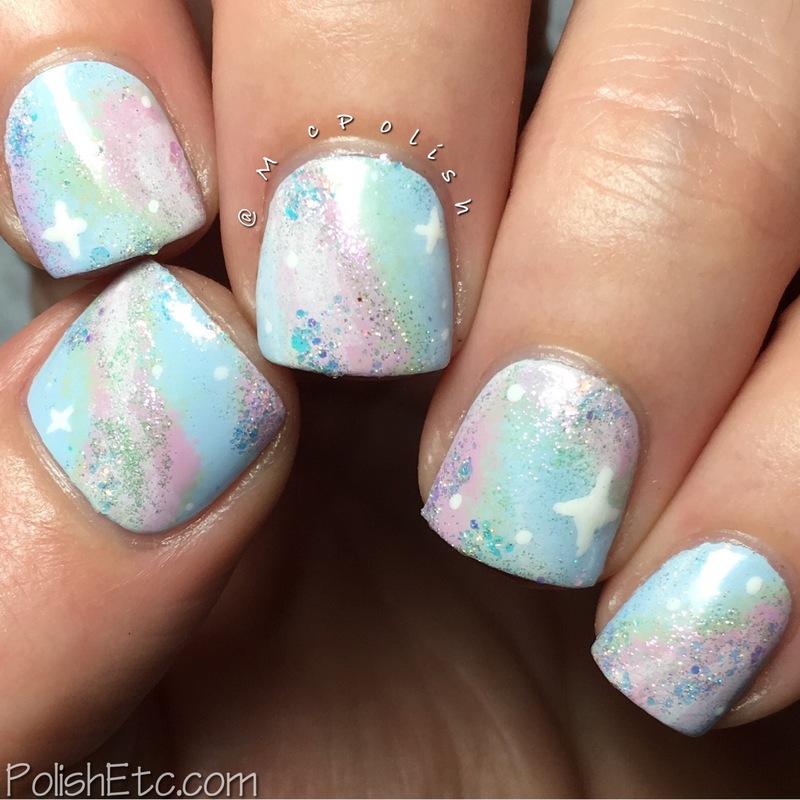 I am sure I will attempt a pastel galaxy look again. Have you ever done a non-traditional galaxy look? Which type of galaxy nails do you like best? 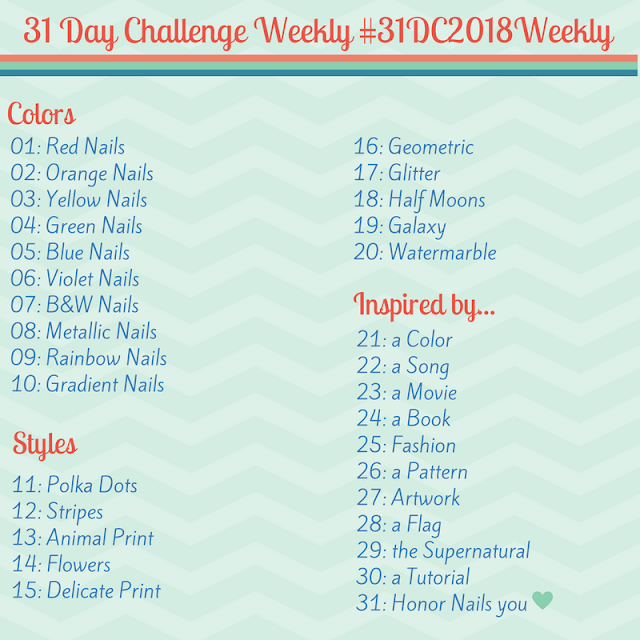 Be sure to check out all of the other nail artists participating in the weekly challenge this year. Just check out the tag #31DC2017Weekly tag on Instagram, Facebook and Twitter.